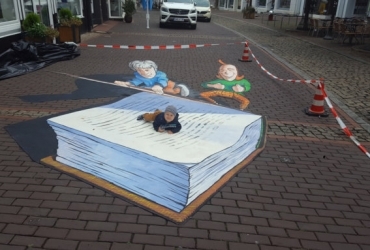 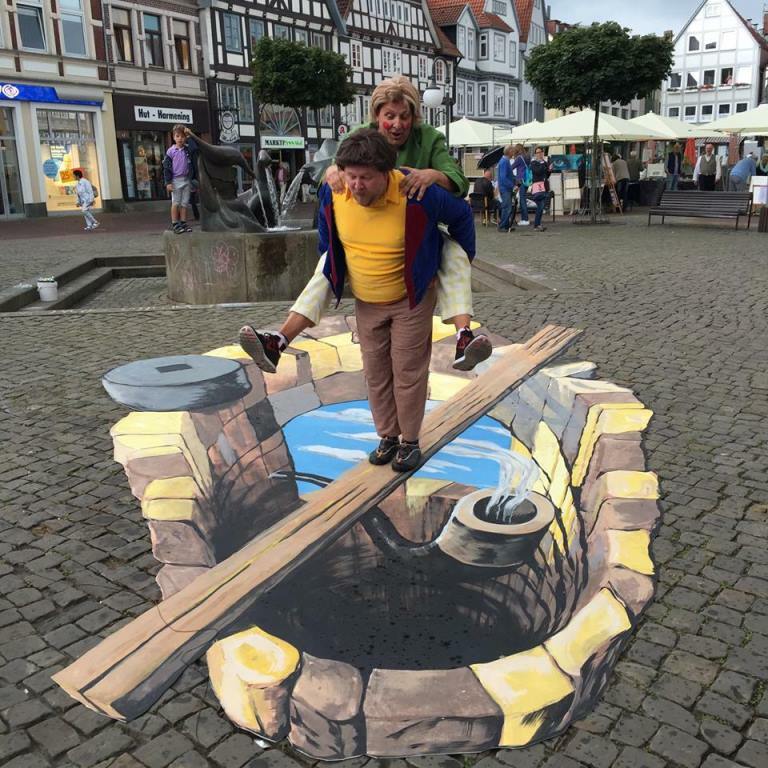 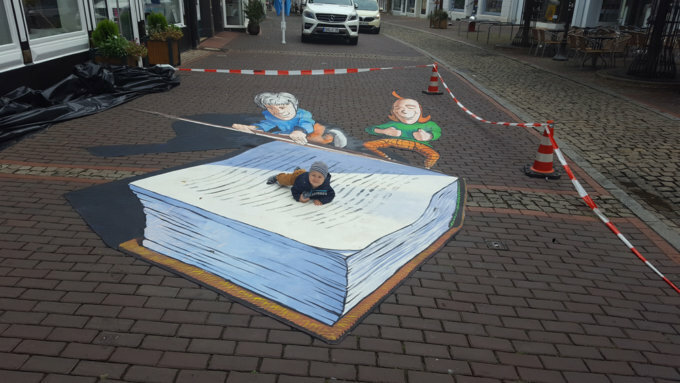 One day Jürgen Wiemer the co- organisator of the first “Wilhelm Busch Tage” asked me to make a streetart concept to add some more attractions to their event that took place in Stadthagen at the 3rd and 4th of September in 2016. 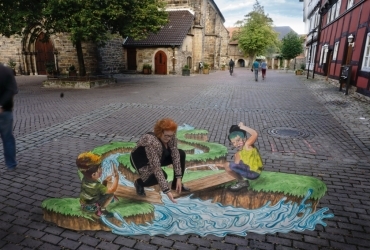 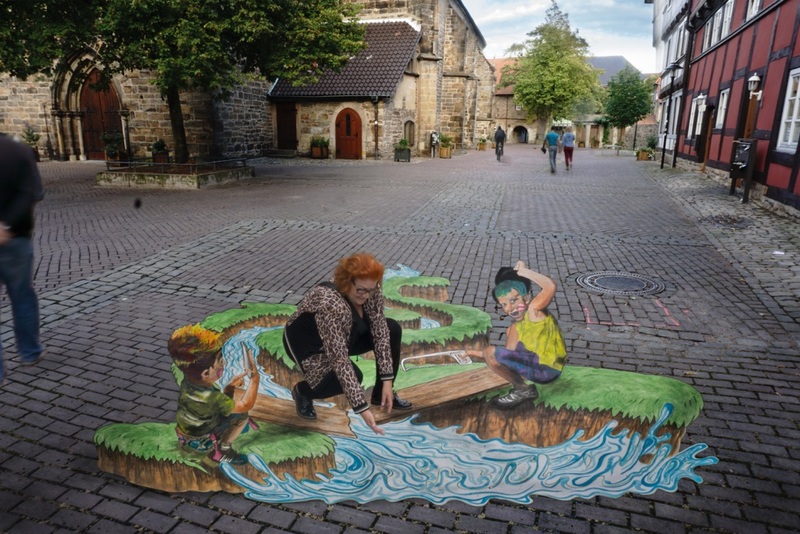 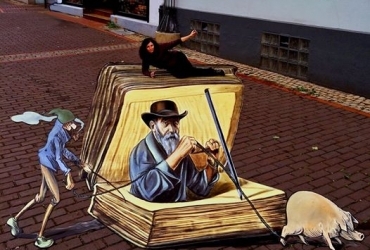 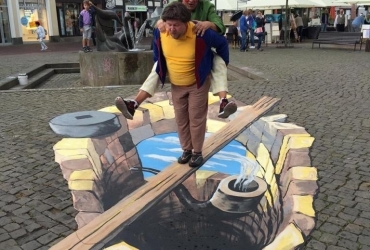 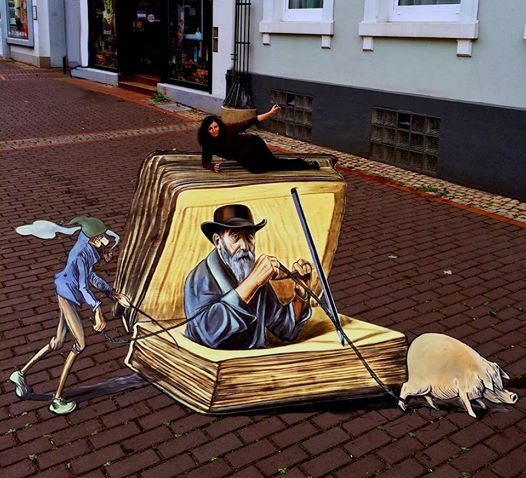 I invited the 3D streetpainting artists Alex Maksiov from Ukraine, Vera Bugatti and Cuboliquido from Italy, Matthew May from Nederland and Eduardo Relero from Spain to present their interpretation of the theme: Wilhelm Busch, who was a German humorist, poet, illustrator and painter. 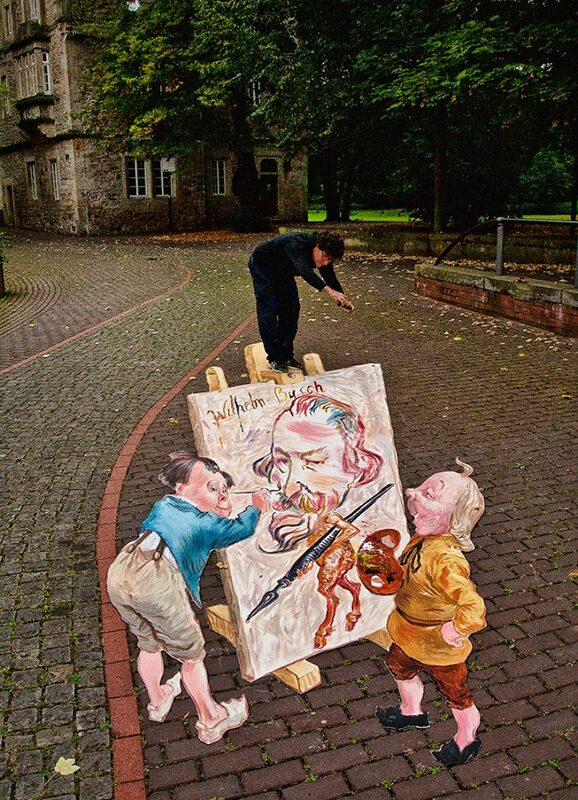 Because of the brickstone floor all around in the city, the artists painted with acrylics on vinyl. 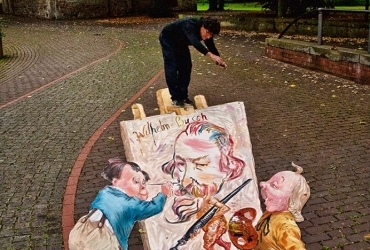 All paintings invited the public to interact and play a part in the scene.